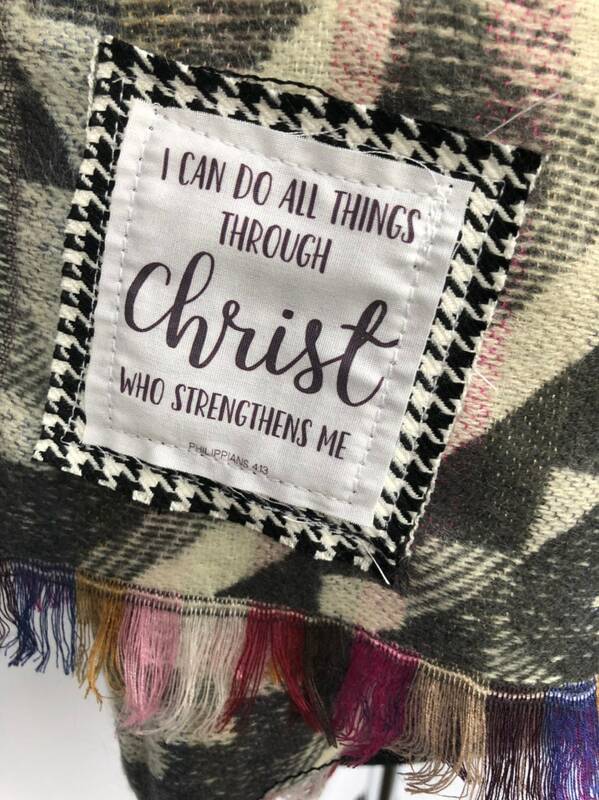 This is a super fun oversized oblong tribal Aztec Scripture scarf with Philippians 4:13. The colors are gray, off white, pink, purple, yellow, and blue. The fabric is 100% acrylic.